MICRO METALS is engaged in offering a wide range of Gunmetal Round Bars to our most valued clients. These Gunmetal Round Bars are known for various features, such as dimensional accuracy, resistance to corrosion and abrasion, reliability and durability. MICRO METALS, Gunmetal, also known as red brass. Gunmetal sheets is a type of bronze "an alloy of copper (88%), tin (8%), and zinc (4%). Originally used chiefly for making guns, gunmetal was eventually superseded by steel. MICRO METALS offers premium range of Gunmetal Castings. It is processed by using molesis sand molding. We use qualitative raw material and rigorously adhere to the global standards of the industry to process high quality Gunmetal Castings. To cater to the demands of different industries. 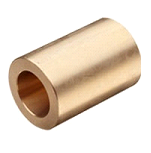 MICRO METALS is a prominent manufacturer, importer and exporter of supreme quality Red Brass Product. The offered product is manufactured using basic raw material and technically advanced tools in adherence to set industrial norms. We offer this product in various designs, sizes and shapes for our valuable clients. This product is highly appreciated by our clients due to its optimum strength, hardness and heat resistivity. Before dispatching final deliveries to our valuable clients, the product is strictly tested on various stages by our experts. 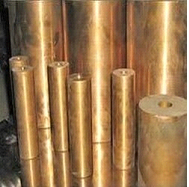 MICRO METALS is a prominent manufacturer, importer and exporter of supreme quality Gun Metal Product. The offered product is manufactured using basic raw material and technically advanced tools in adherence to set industrial norms. We offer this product in various designs, sizes and shapes for our valuable clients. This product is highly appreciated by our clients due to its optimum strength, hardness and heat resistivity. Before dispatching final deliveries to our valuable clients, the product is strictly tested on various stages by our experts. Non Ferrous Metal Pipes & Tubes have gained a lot of positive reception by our clients owing to its high robust, dimensional accuracy, high tensile strength, corrosion resistant and consistency. We manufacture these pipes and tubes using high grade of raw material based on the most modern technology in complying with the quality standards and norms. These products are available in varied shapes and dimensions as per the requirements of our esteemed customers. 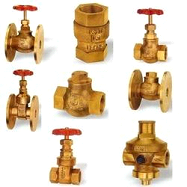 These products are used in various construction or plumbing applications. 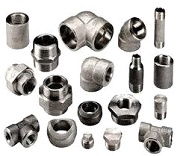 Non Ferrous Buttweld Fitting is well renowned owning to their features such as resiliency, consistent, frivolous, preferable, effortless installation and least maintenance. These products are widely used in various engineering and machinery applications and trouble free replacement of parts, efficiency. These products are available in various sizes shapes and dimensions as per customers’ requirements. Our clients can avail from us at most competitive prices. Non Ferrous Forged Flanges is well known owing to high-end features as durable, long lasting, easy to install and strong construction. These products are diverse industries such as number of industries like chemical industry, car industry, automobile and engineering. We manufacture these products using high-grade quality raw material based on high-tech technology machineries and versatile mechanisms, which meets the quality standards. These products clients can avail from us at reasonable prices. Flanges, SORF, WNRF, BLRF, SWRF, LAP Joint, Threaded, Reducing Etc. 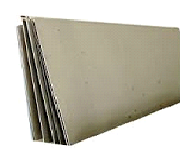 Non Ferrous Metal Sheets is well prominent and find in various industrial applications. We fabricate these products using optimum quality materials based on well innovative technology in complying with the quality standards. Our products are highly applauded in the market due to their valued features such as least maintenance, longer lasting, excellent consistency, corrosion resistance and durability. These products clients can avail from us at affordable prices in the market very easy according to their requirements. 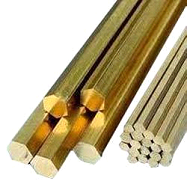 Non Ferrous Metal Rods is available in various sizes, shapes and dimensions as per the requirements and demands of our valued clients. We fabricate these products using finest quality materials based on latest innovative technology in complying with the quality standards and norms. These products are highly applauded in the market owning to their feature such as resilience, excellent resistance to corrosion and long lasting performance. Our clients can avail from us these products at most reasonable prices. We are engaged in offering a wide range of Gunmetal Round Bars to our most valued clients. These Gunmetal Round Bars are known for various features, such as dimensional accuracy, resistance to corrosion and abrasion, reliability and durability. MICRO METALS Gunmetal, also known as red brass. 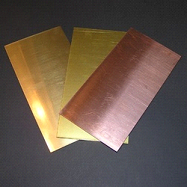 Gunmetal sheets is a type of bronze – an alloy of copper (88%), tin (8%), and zinc (4%). Originally used chiefly for making guns, gunmetal was eventually superseded by steel. 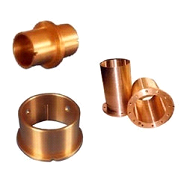 Non Ferrous Forged Fitting is used expansively in assorted applications such as engineering, chemistry and many more industries for preventing any type of leakage. We fabricate products using optimum quality materials by implementing well-developed and versatile technology, in complying with the quality standards. 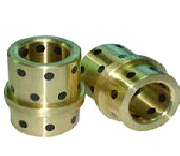 These products are available in various sizes, shapes and dimensions as per the requirements. Looking for Non Ferrous Metals Alloys ?